After a strong (short) first week, week 2 finds markets consolidating and despite the strong rally last week, so far have not given back much. FTSE broke to new highs on Friday. 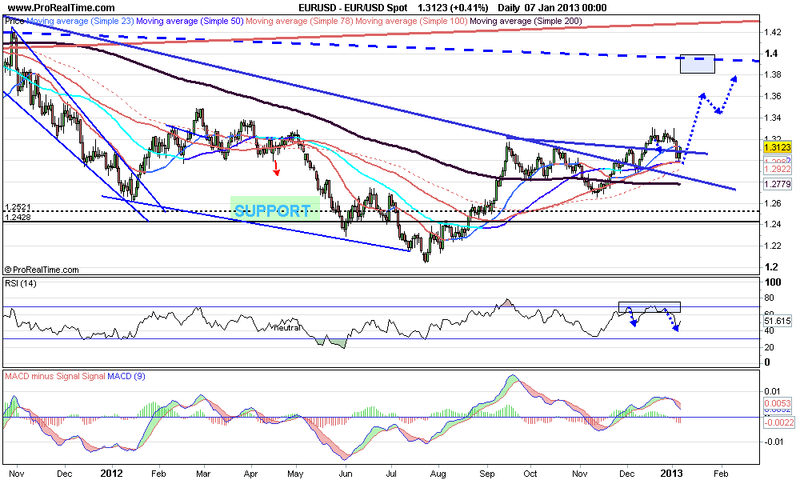 Dollar rallied hard on FOMC minutes but this week giving back some of gains : ready for a FALL? obviously EURO and POUND vs dollar fell after reaching obvious resistance at 1.33 and 1.63 respectively, now is the fall a correction and ready to go higher? 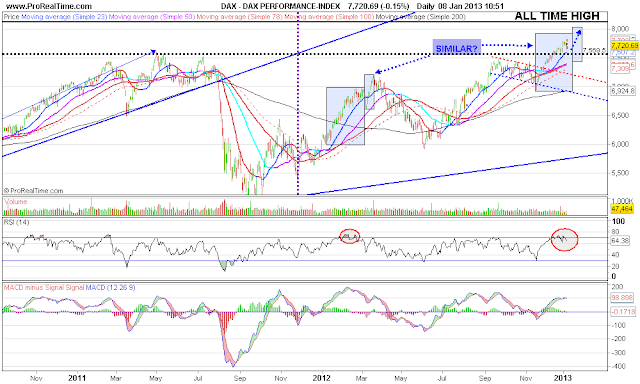 DAX has had a large rally off the November 2011 low. 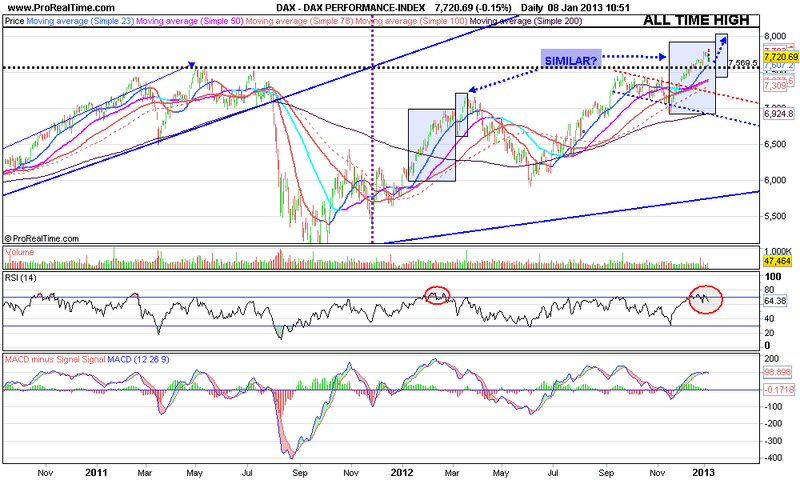 Despite being overbought has not retraced mush, so could be in a sideways consolidation. 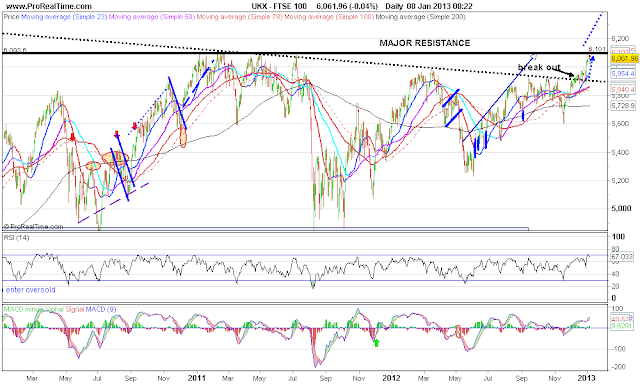 Another push up to around 8,000 possible before larger retrace. 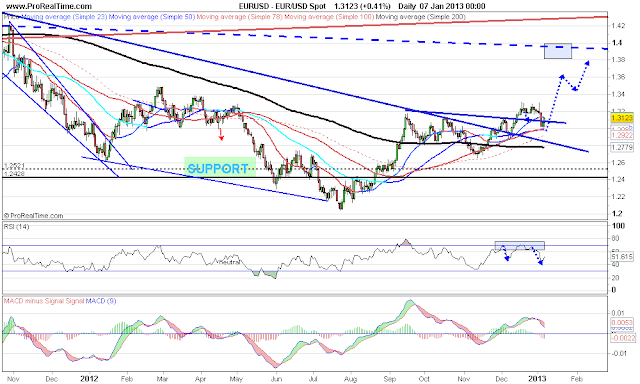 Euro attacked 1.33 resistance level, but was overbought. The fall to 1.30 has reset the O/B conditions quickly.